Divorce is rarely easy, but when you have valuable assets or other complex financial issues, it is even more complicated. You need a lawyer on your side who understands the special circumstances of these cases, and knows how to protect your rights throughout the asset division process. 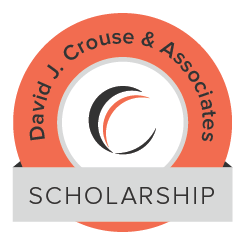 Spokane law firm David J. Crouse & Associates, PLLC represents parties in high asset and complex divorces, ensuring clients retain their share of hard-earned assets and safeguarding their financial future. If you are facing a high asset divorce or have other complex financial issues that may complicate your division of property in Spokane, you need our experience and skill. Call our office at 509-624-1380 today, and let one of our Spokane high asset divorce lawyers go to work for you. What is a high asset value divorce? A high asset value divorce involves parties who have a large net worth. They often have multiple homes, estate plans, high income, stock options and stock plans, and other high-dollar investments. Separating these assets is more difficult than in a case where the partners only share a checking and savings account, and perhaps a home. In many of these cases, there is the added complexity that one partner earned most of the income while the other took care of the children or worked in the home only. This type of situation may lead to additional conflict or disagreement between the parties, even though the law is fairly clear about asset division. We can protect your financial interests, work to prevent you from having to pay unnecessary taxes, and help you ensure a stable financial future. If your case involves high assets or complex financial situations, it is paramount to find a lawyer who handles this type of case frequently. Very few attorneys actually have extensive experience with high asset cases or those involving business and professional practice valuations. There are a number of factors in play in a high asset divorce that go far beyond identifying and valuing the assets in a typical divorce. David J. Crouse is one of the most experienced attorneys in Eastern Washington in high asset, business valuation, and professional practice valuation cases. What is Washington State’s law about property division? Washington has a legal mandate in place calling for an equitable split of all property and assets gained during a marriage. We are known as a “community property” state. In short, all income earned by either spouse during the marriage is typically community property belonging to both partners. This means that even if one partner earned high wages during the marriage and the other did not, they still share these assets. Washington State law does not question each partner’s financial contribution, but instead assumes they both contributed. Since we are an equitable distribution state, the Judge can award one party more than 50% of the assets. A party could even receive 60% or 70% of the assets. This disproportionate award is always made in favor of the spouse who has a disadvantaged earning ability. Why is valuation important in a high asset value divorce? While community property assets are divided, and in some cases separate property assets can be divided by the court too, this requires knowing the value of all of your assets. In a high asset or complex financial situation, this is not as easy as it may seem. Often, we must hire independent appraisers, forensic accountants, and other professionals. We have also worked with wine, fine furnishing and art appraisers and other experts to place a fair value on clients’ assets. Ensuring the experts put an appropriate value on your assets relies on enlisting the help of experienced appraisers and skilled accountants. Because of our network of trusted professionals and expert witnesses, we can ensure you receive fair valuations for all property and other assets. How do businesses and other private practices complicate divorce? Even if you spent countless hours and hundreds of thousands of dollars building your business, if you started it after you got married (or if your spouse helped you build your company), you spouse will have an interest in it. This may also be true even if you started the business long before the marriage. Before courts will order a sharing of the business value, you obviously must first determine the business’s value. This is a complex process and is based in large part on a CPA’s subjective opinion. When performing a business valuation, an appraiser will consider the company’s finances as well as the company’s goodwill. Goodwill is the intangible value of the company (e.g., the business’s relationship with the community, what customers think when they hear the name, etc.). If an attorney is not extensively experienced in business valuation technique and procedure, you may miss many of the subjective valuation methods that can be used to detrimentally impact the value you receive, while substantially enriching your spouse. We work with business valuation experts to determine a fair value for your company. This will give you the information you need to make an informed decision. In some cases, you may be able to buy your spouse out of the business, trade his/her half for another asset of similar value, or you may decide to sell the business and split the profits. Where can I get help with a high asset divorce or complex financial issue in Spokane? David J. Crouse has extensive experience in business and professional practice valuations, expert preparation, and trial. If your case involves high assets, significant business interests, or a professional practice, we can help you. Contact David J. Crouse & Associates, PLLC about representation in your dissolution action. Call our Spokane office today at 509-624-1380 to set up a time to discuss your case.